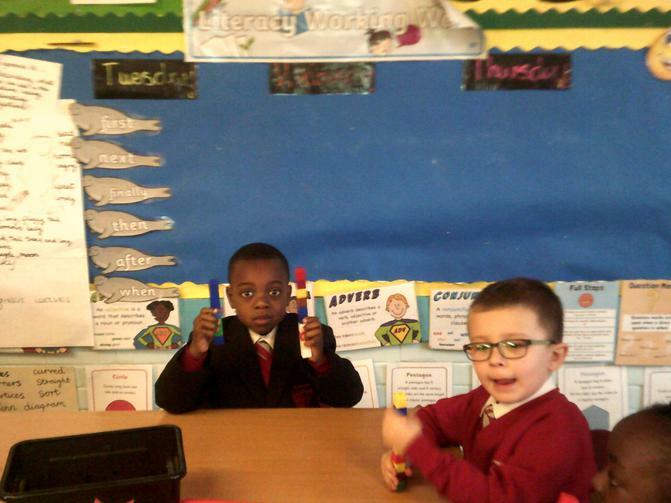 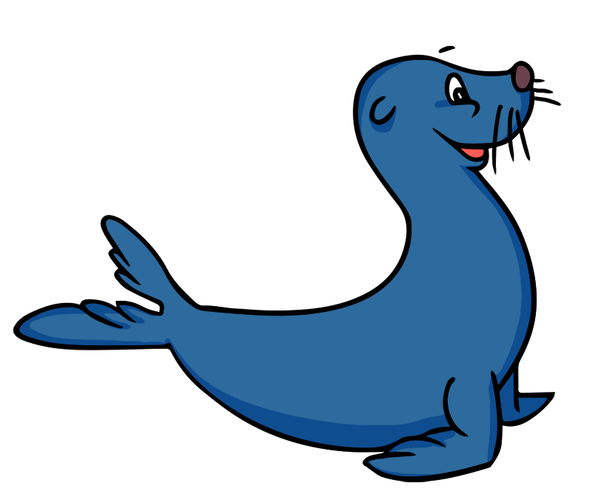 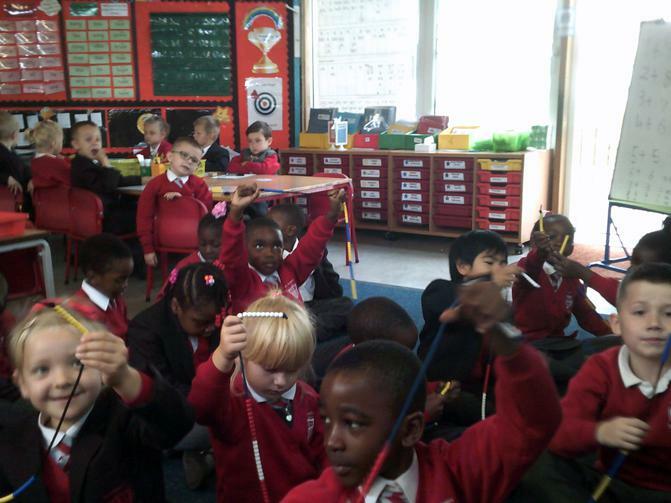 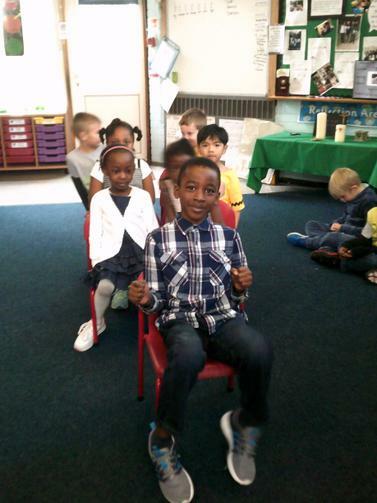 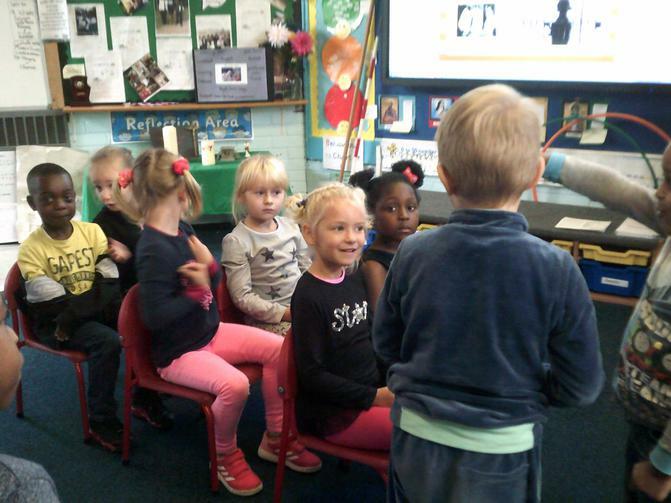 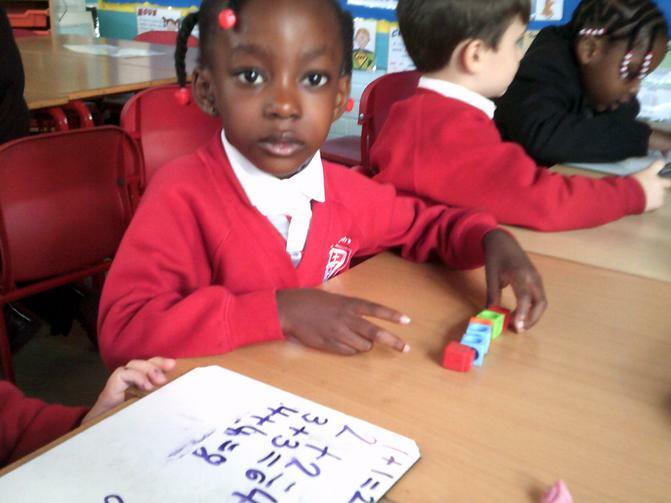 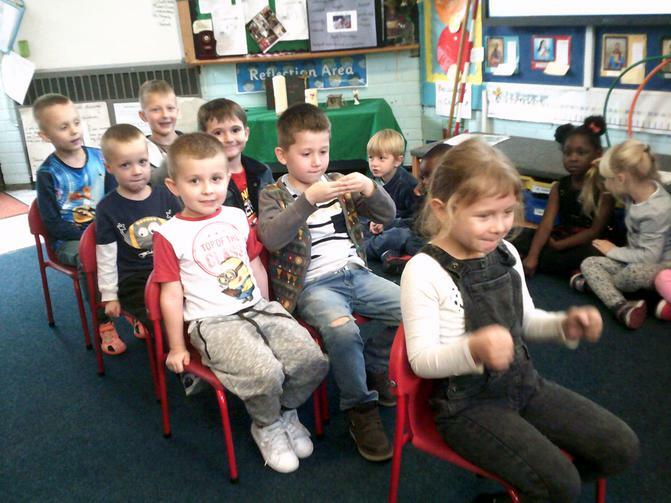 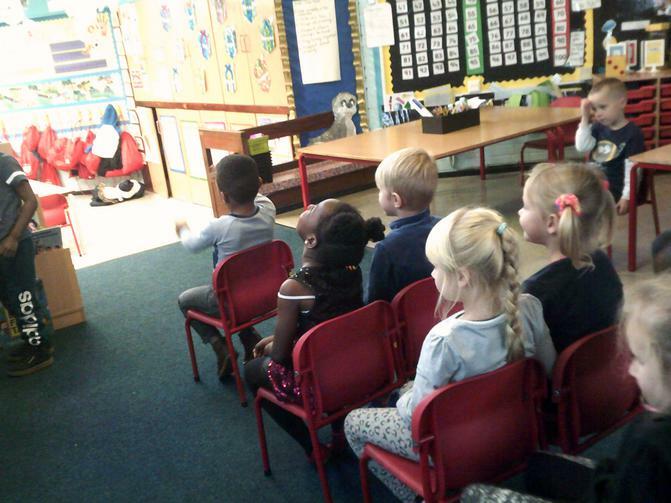 Welcome to you all joining Seals Class in Year One. 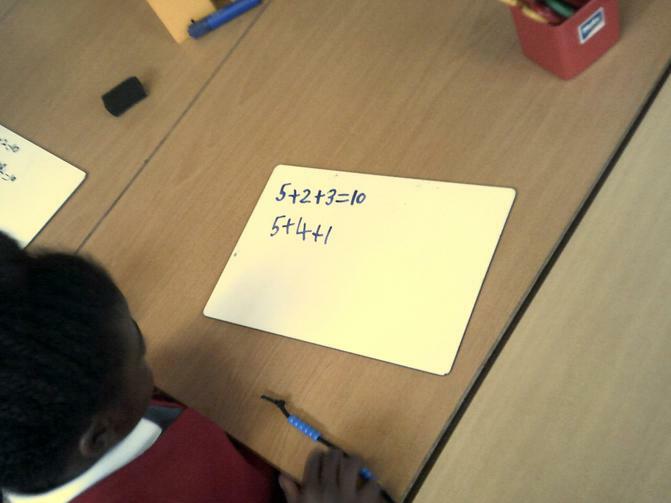 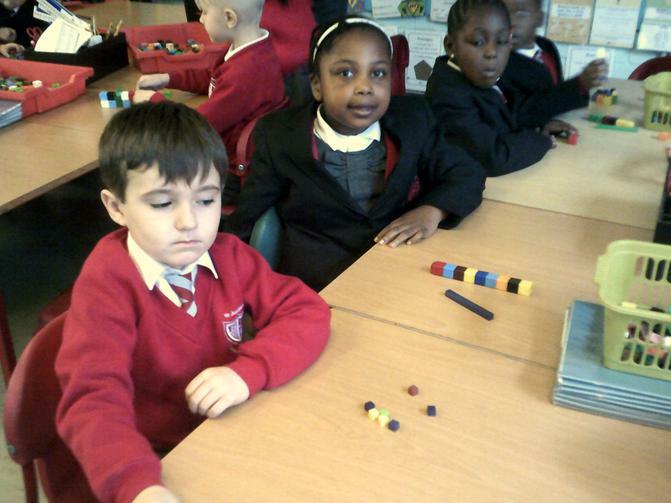 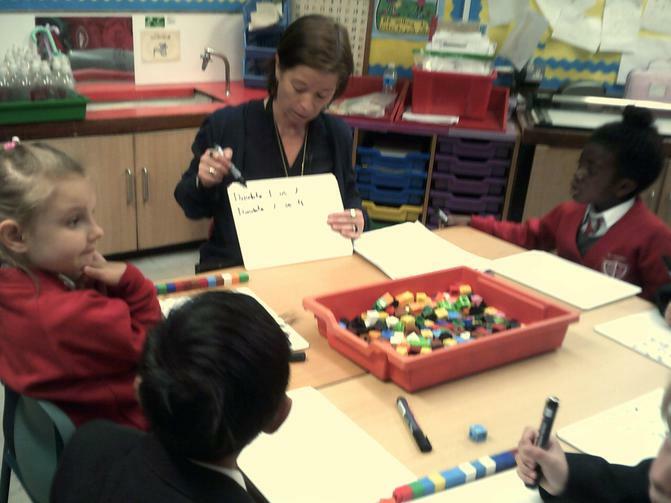 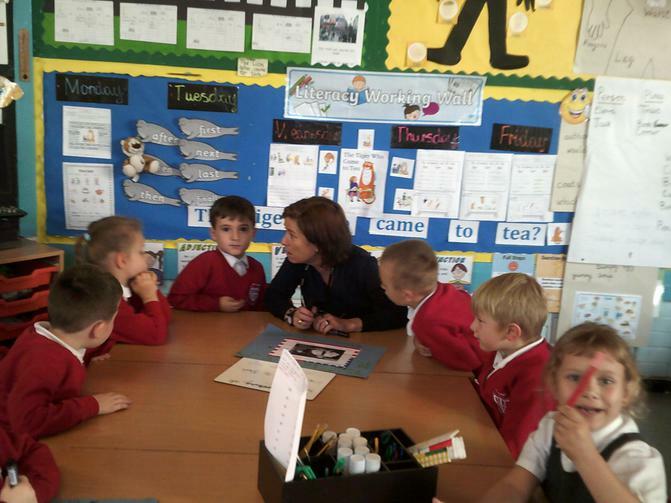 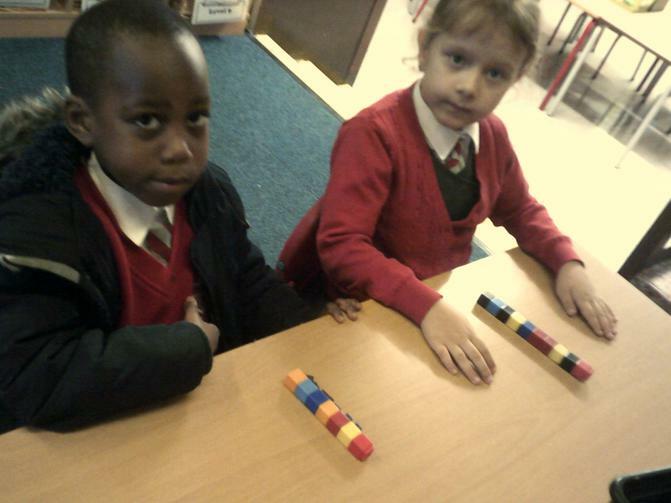 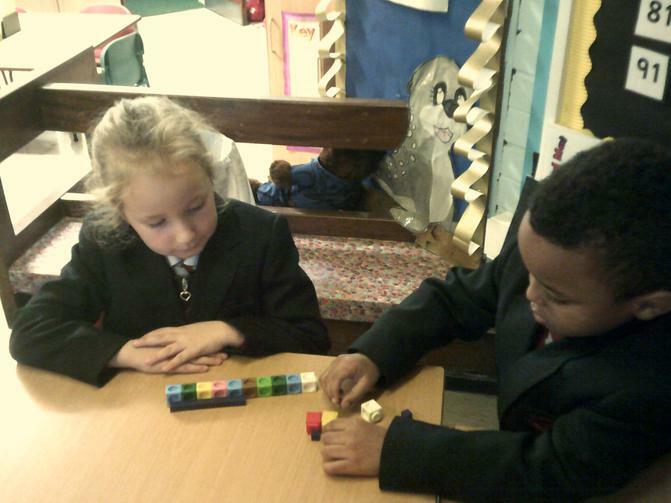 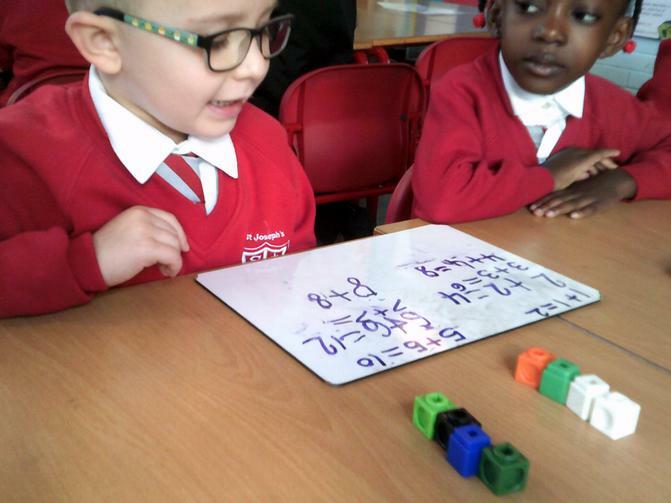 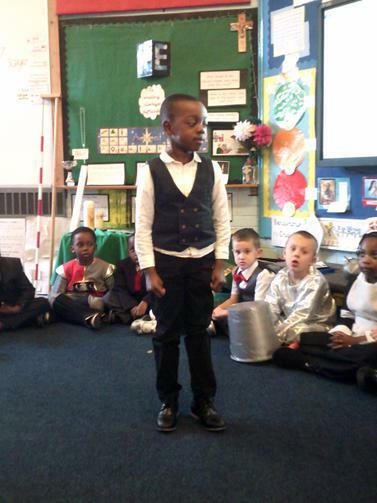 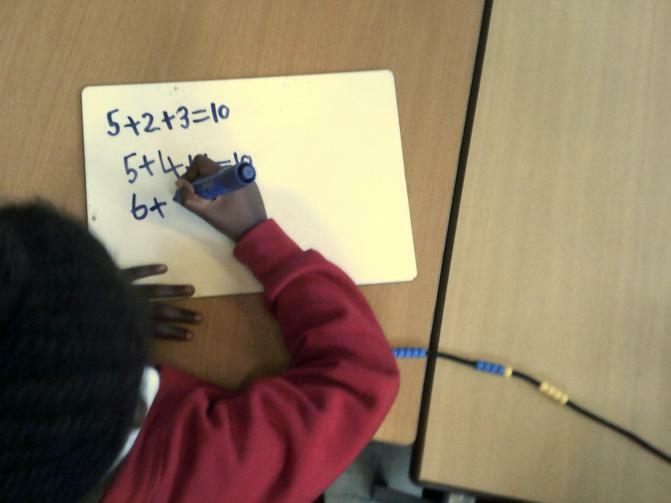 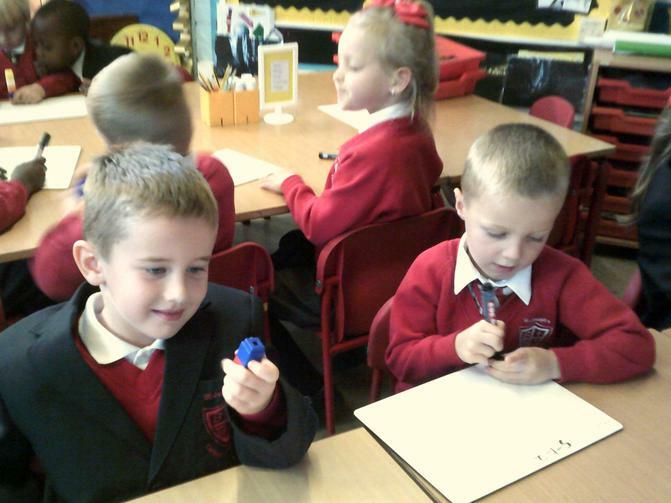 The teacher is Mrs James and the teaching assistant is Mrs Garry. 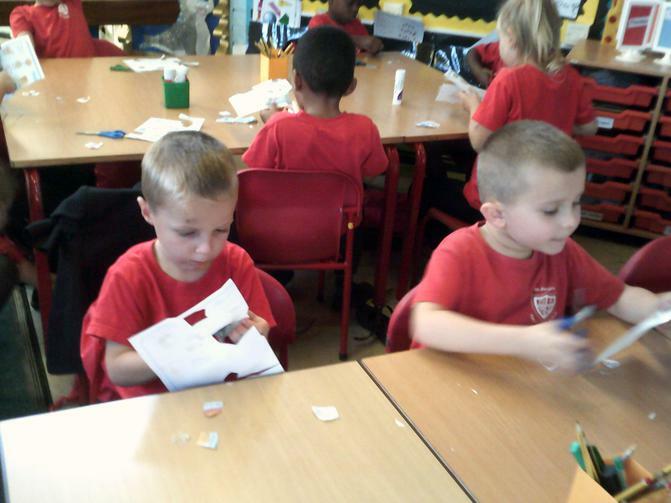 We are really looking forward to learning lots of new and exciting things this school year. 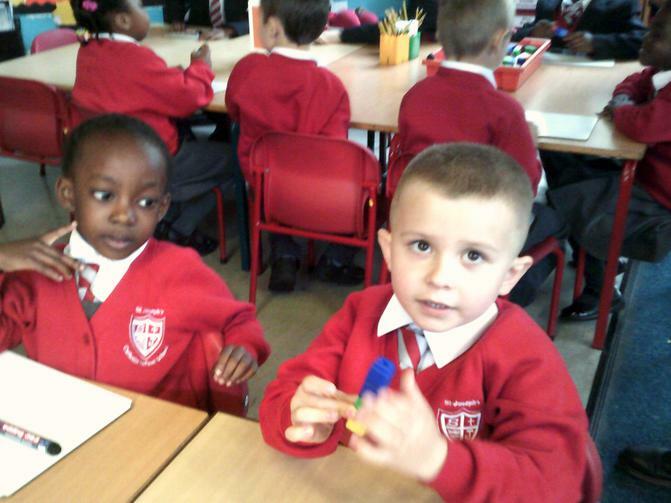 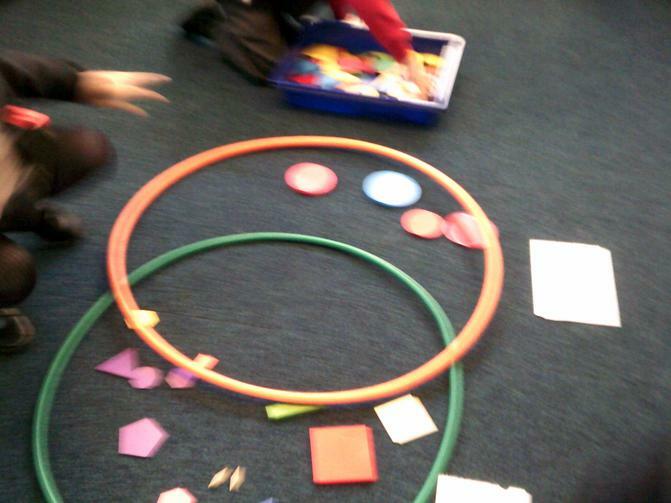 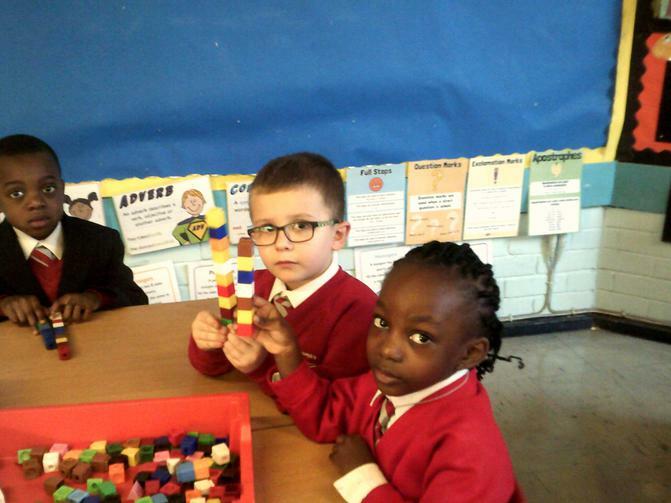 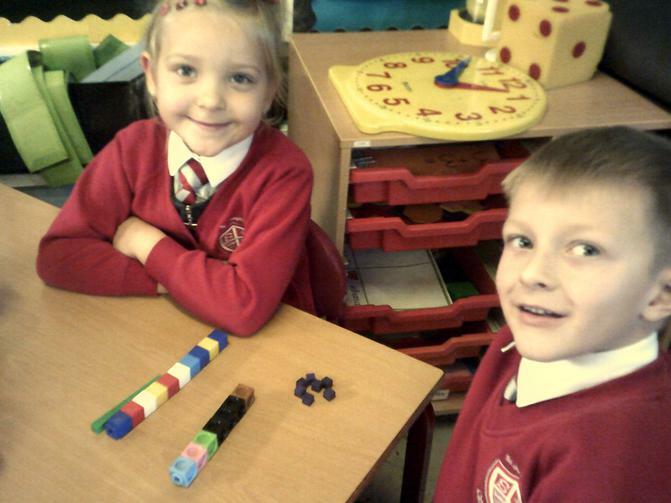 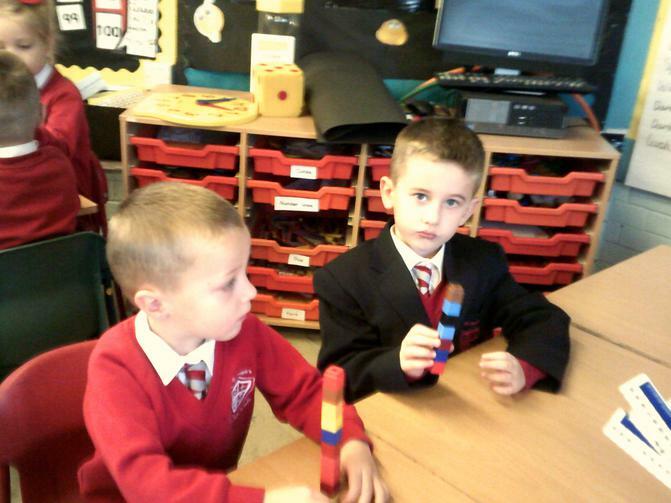 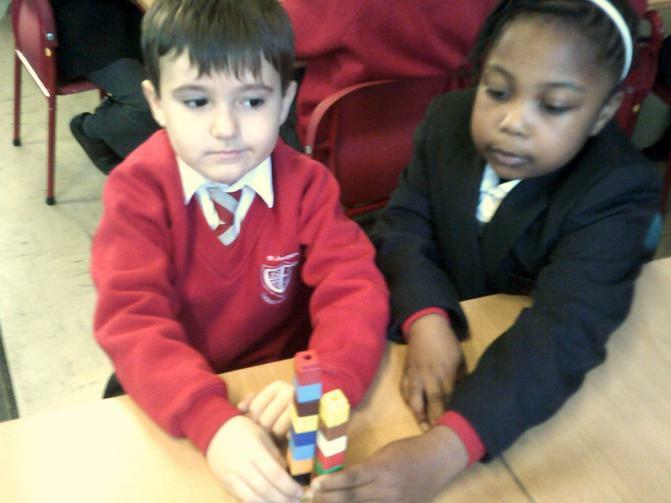 In our class we are a family and we enjoy learning, playing and exploring together in our classroom and outdoor area. 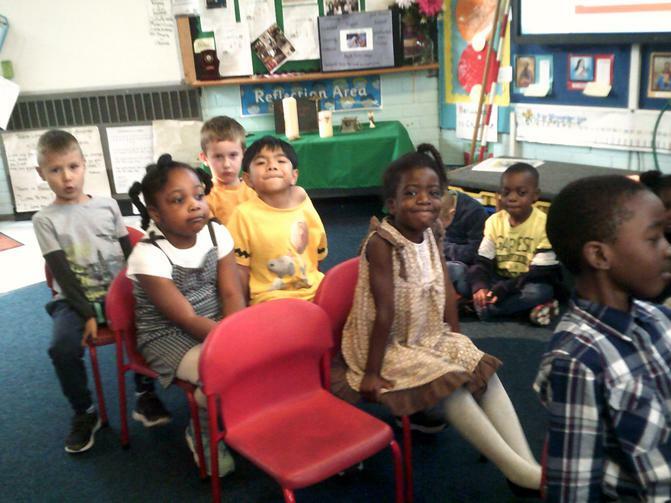 God is at the centre of all we do and we start and end each day with a prayer. 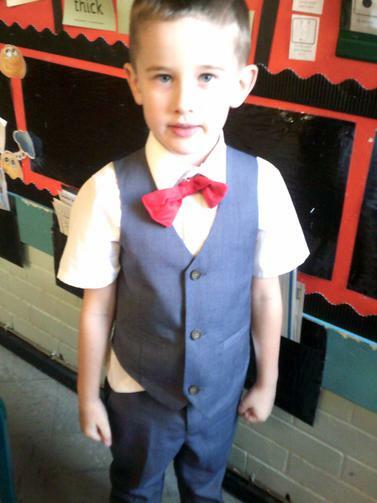 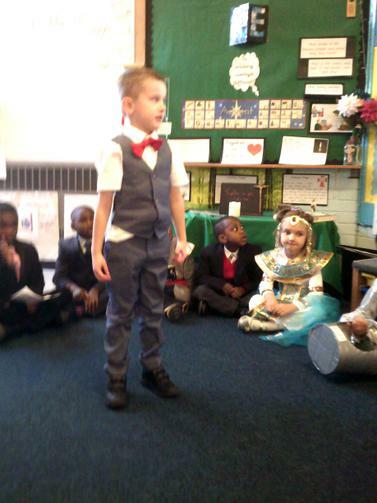 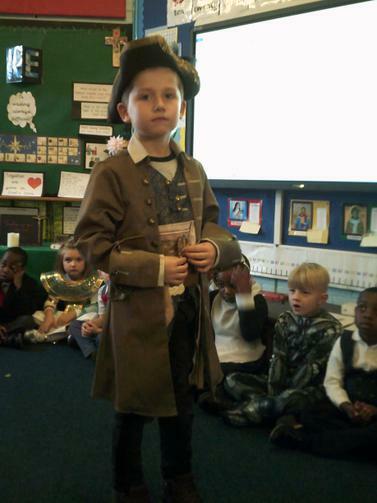 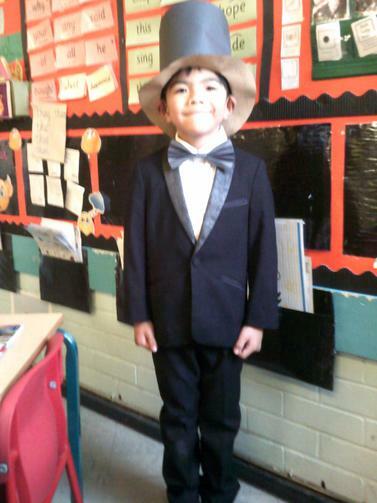 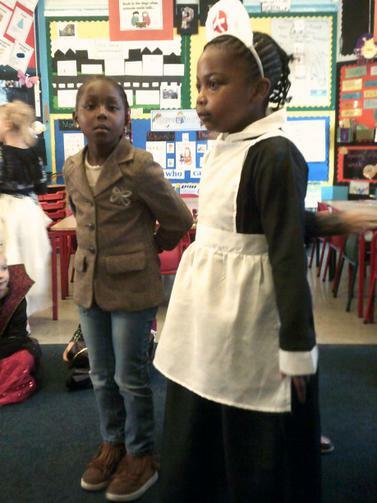 On 30th October Key Stage One stepped back in time. 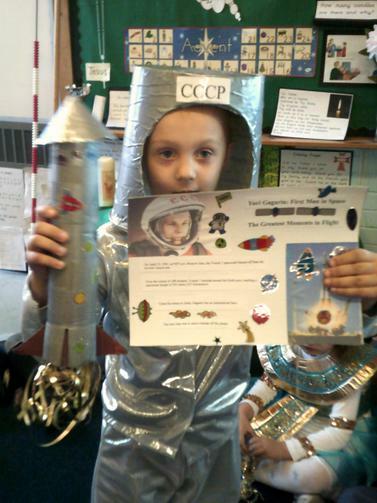 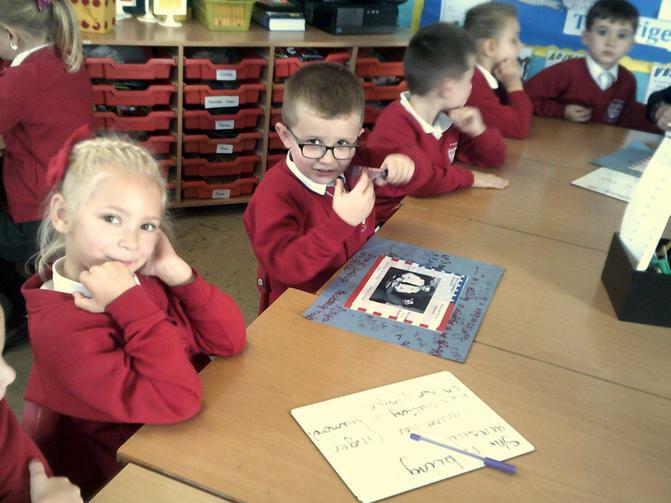 Children had to research a character who has influenced the world we live in today. 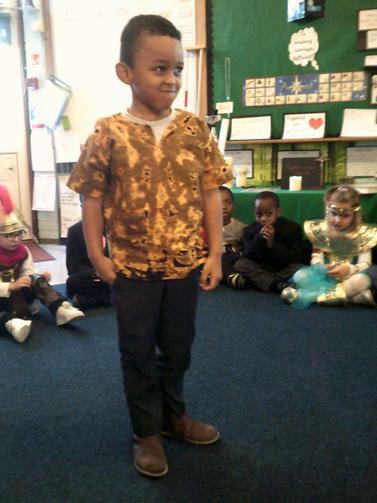 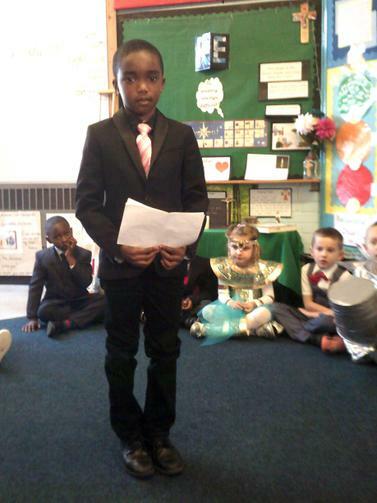 We welcomed Nelson Mandela, Barack Obama, Margaret Thatcher, Elizabeth Garret Anderson. 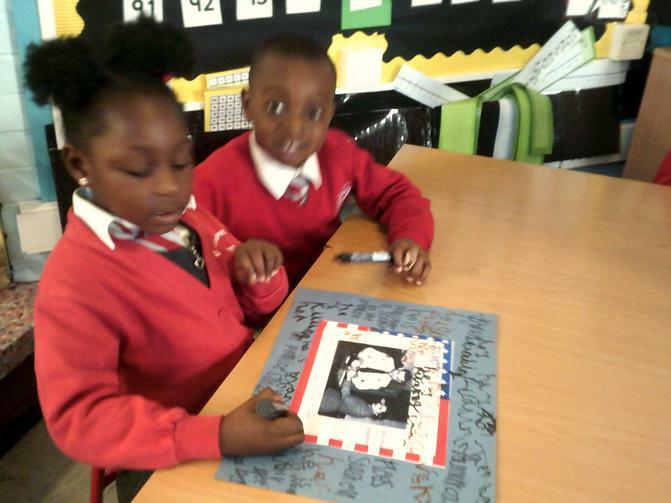 Rosa Parks and Martin Luther King to name but a few. 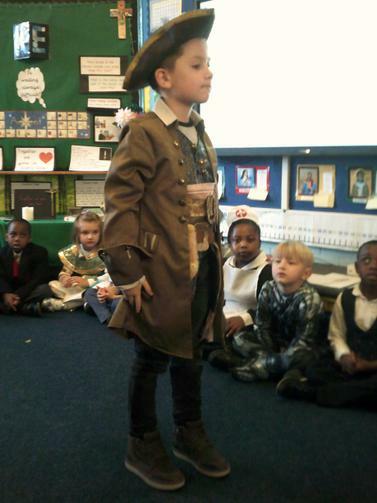 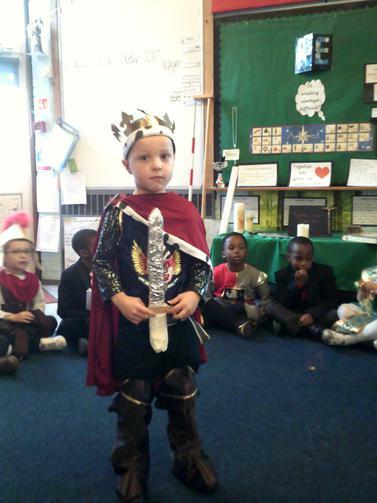 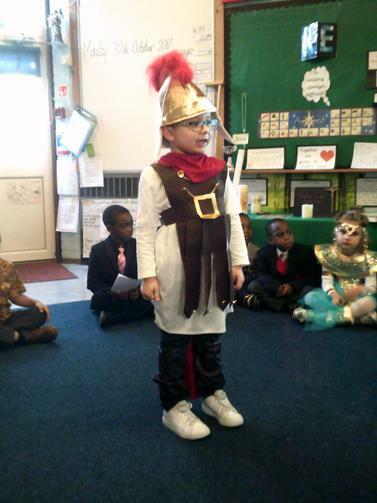 We had Knight's, Queen's, Winston Churchill and Christopher Columbus and many more. 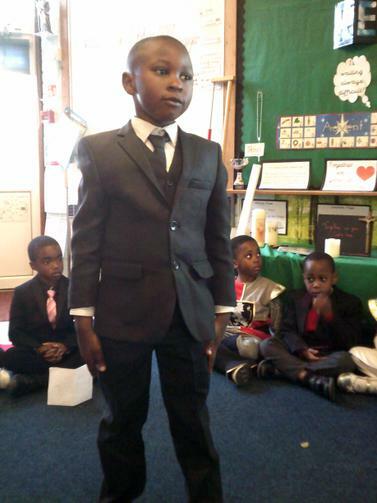 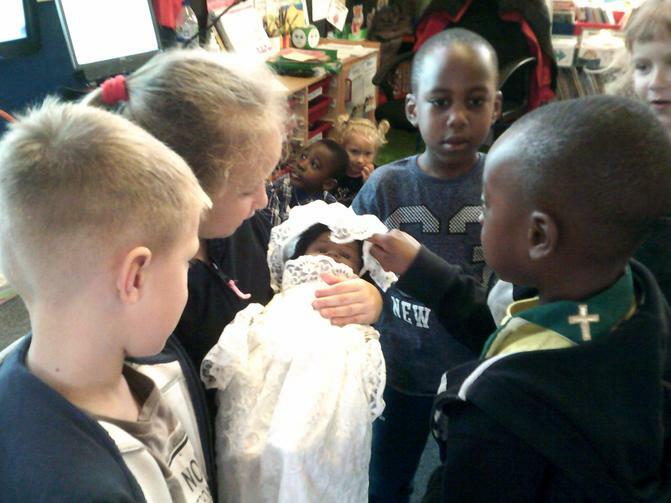 Seals class have been learning about Baptism in Religious Education. 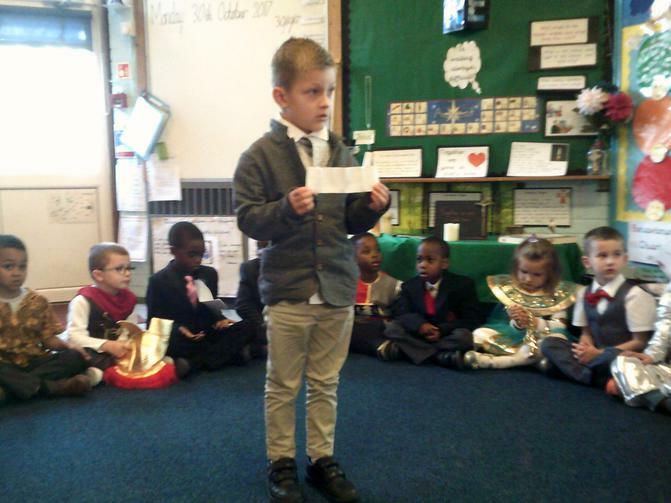 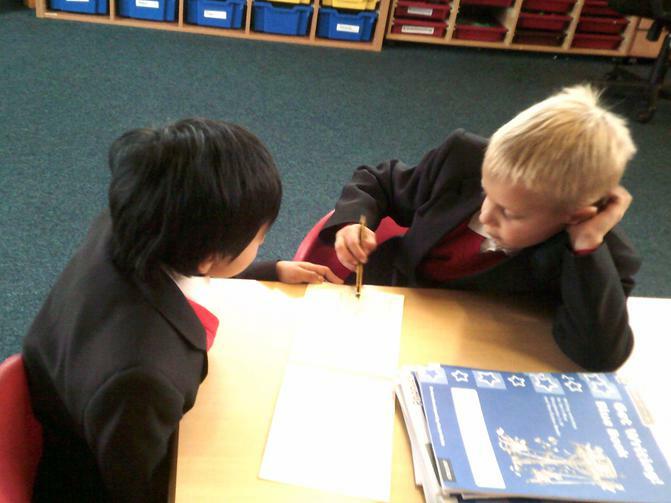 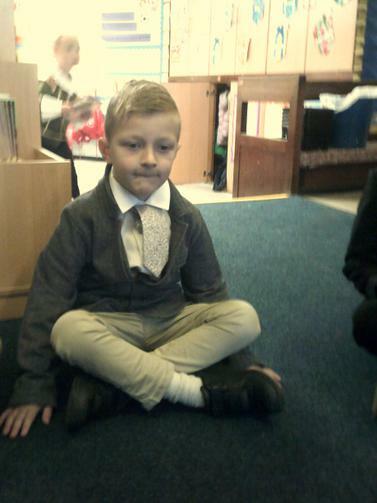 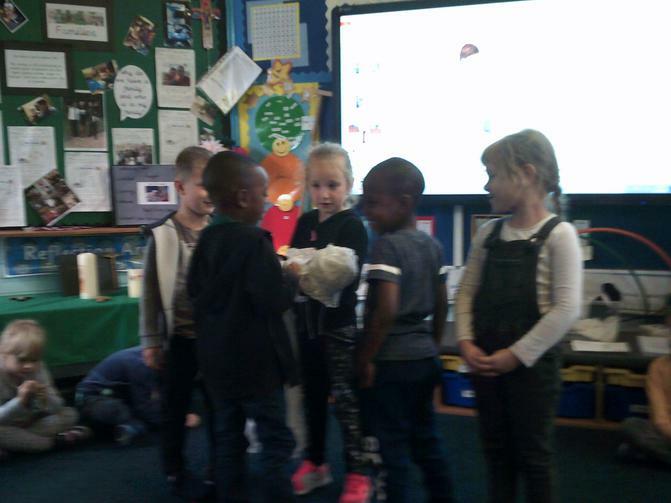 They have been exploring and discussing what happens during a baptism and why. 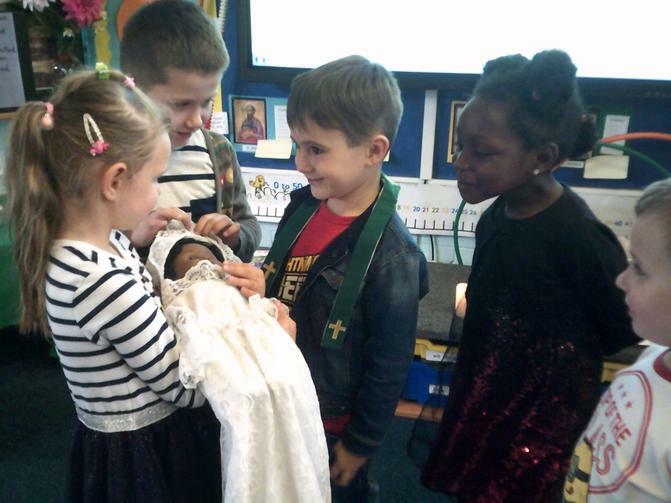 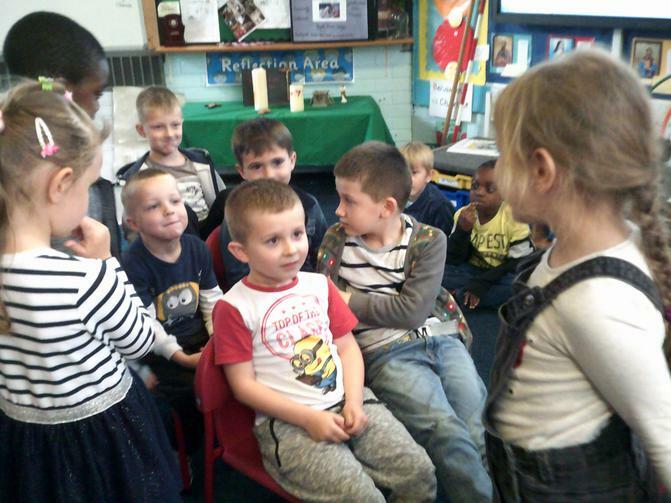 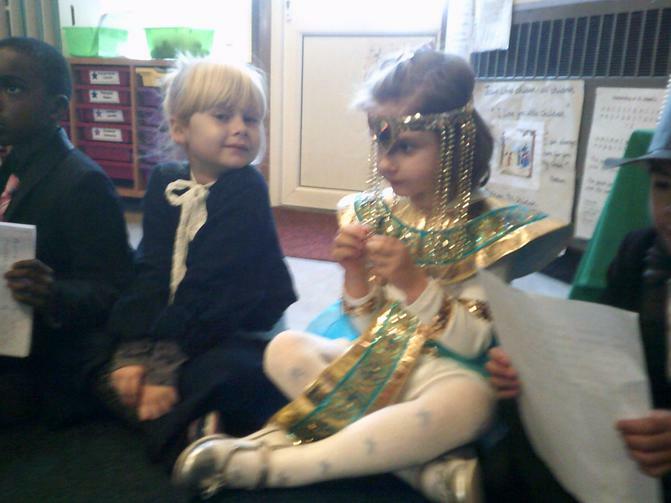 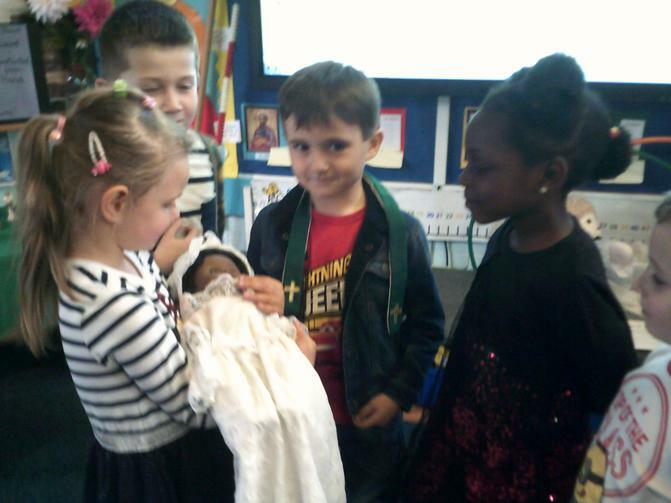 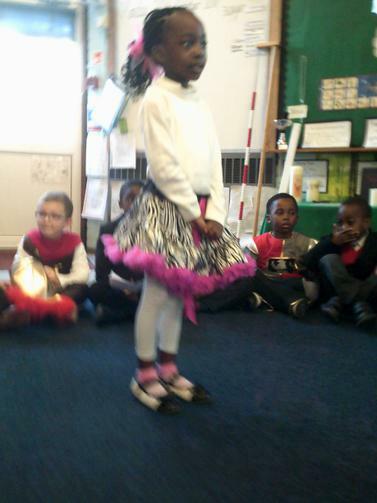 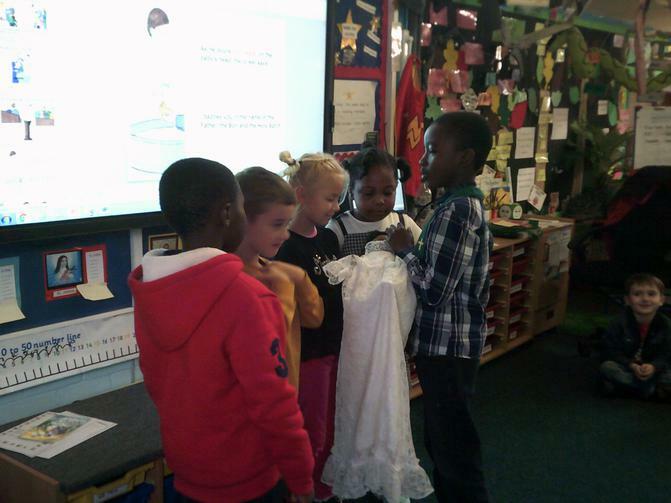 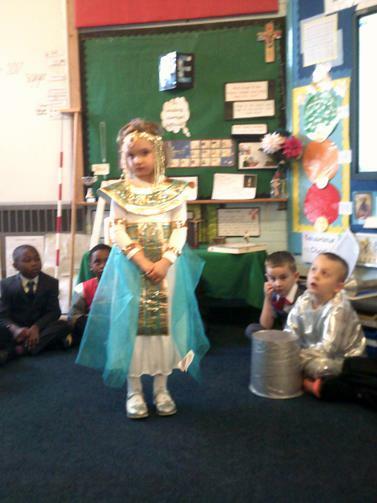 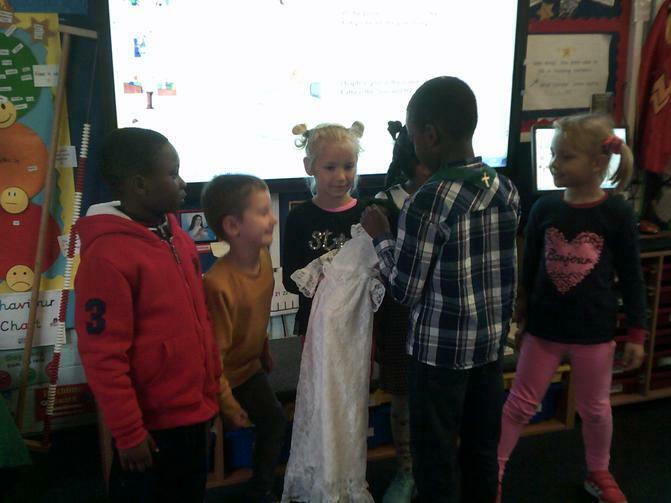 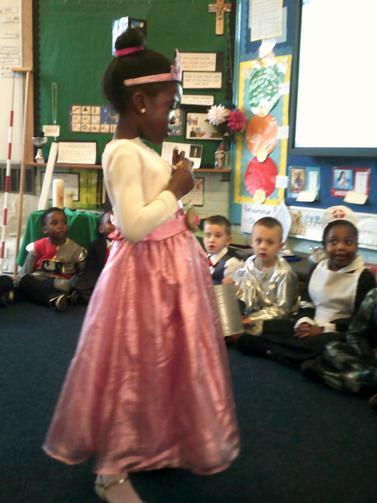 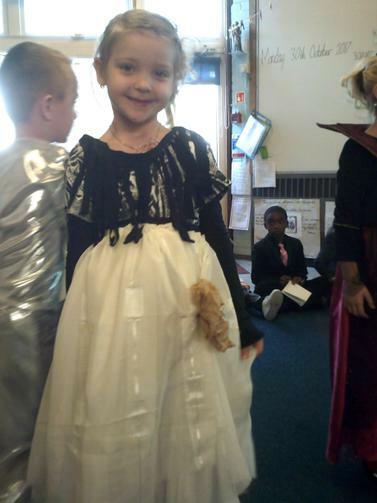 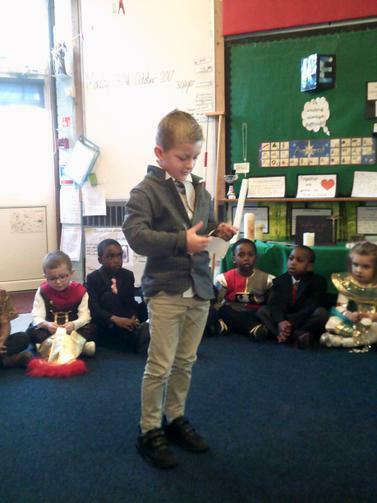 The children brought used their own doll so that they could re-enact a baptism in class. 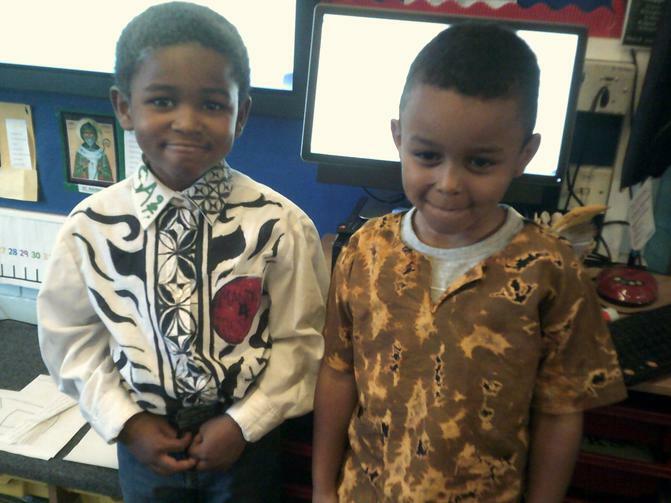 As a diverse community we celebrate Black History Month on a daily basis. 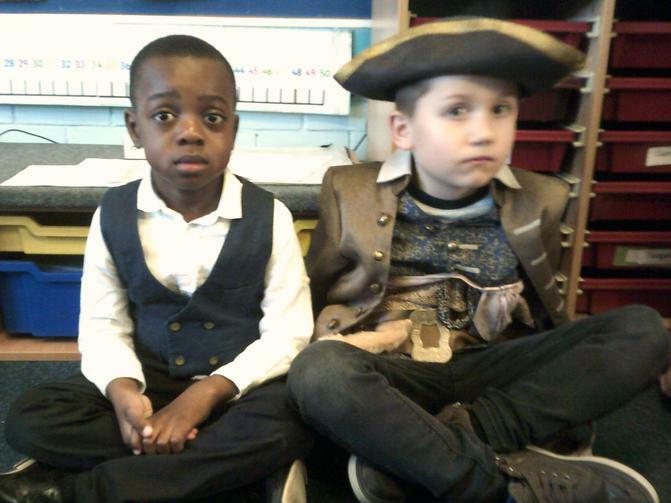 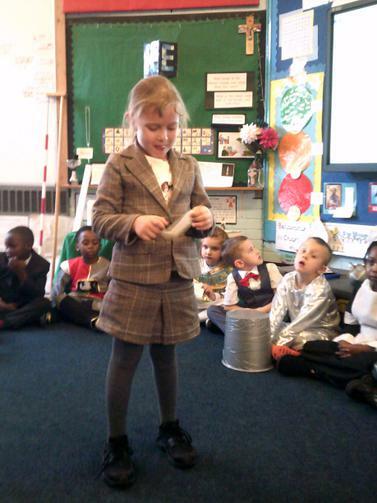 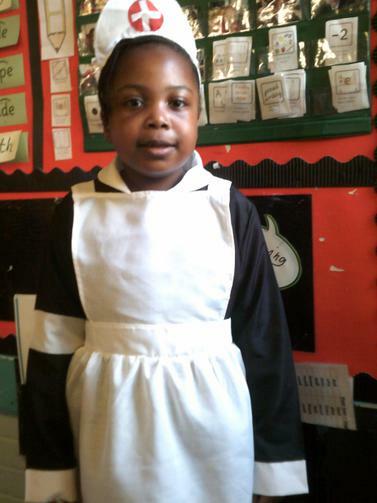 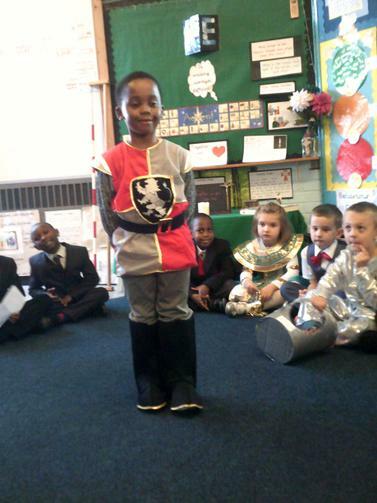 We learn about key role models who have made a difference to others and helped to shape the world we live in today. 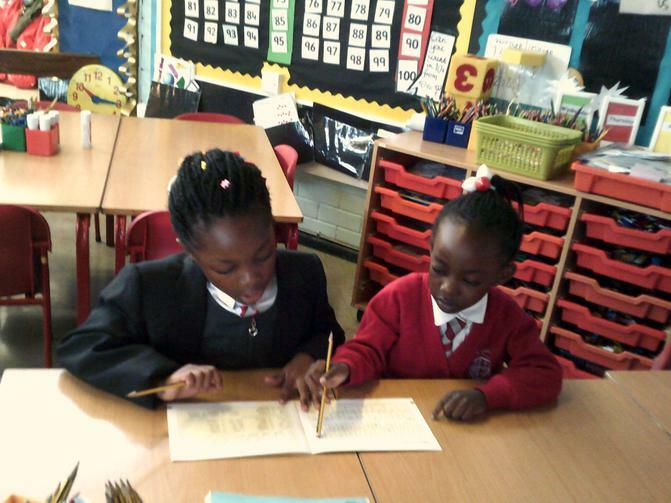 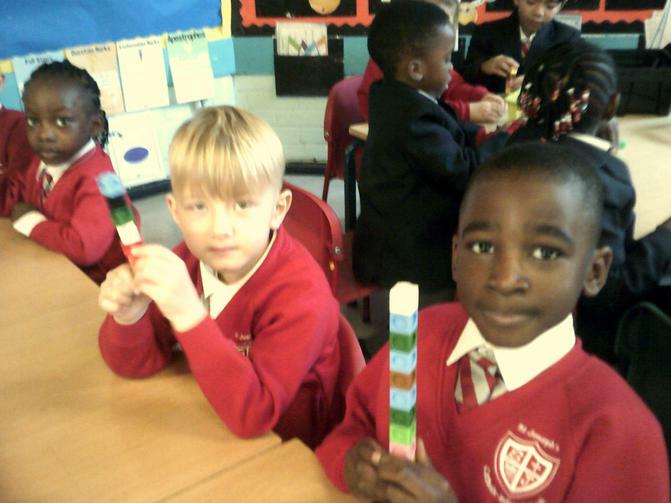 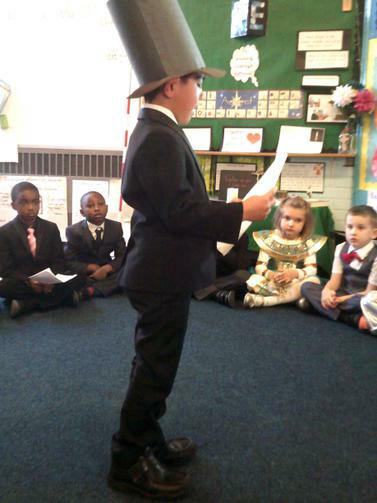 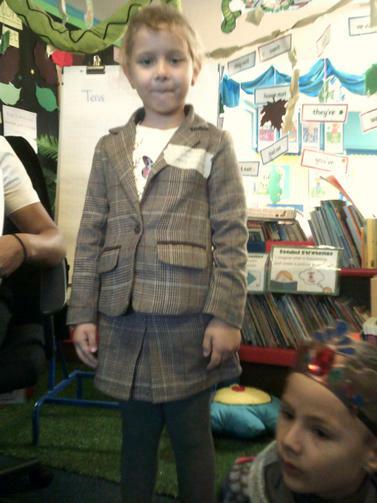 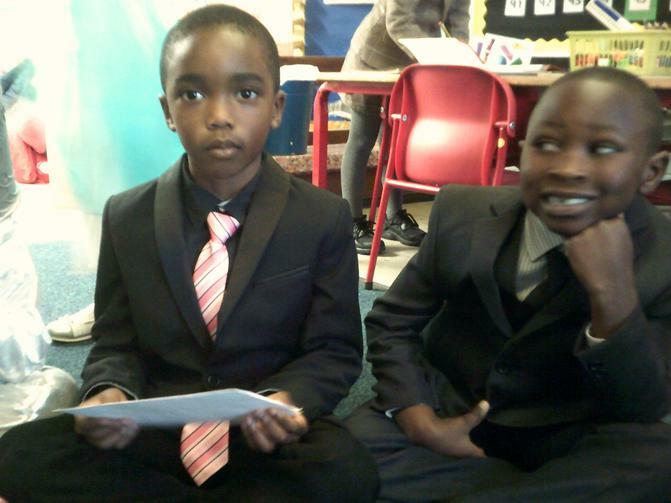 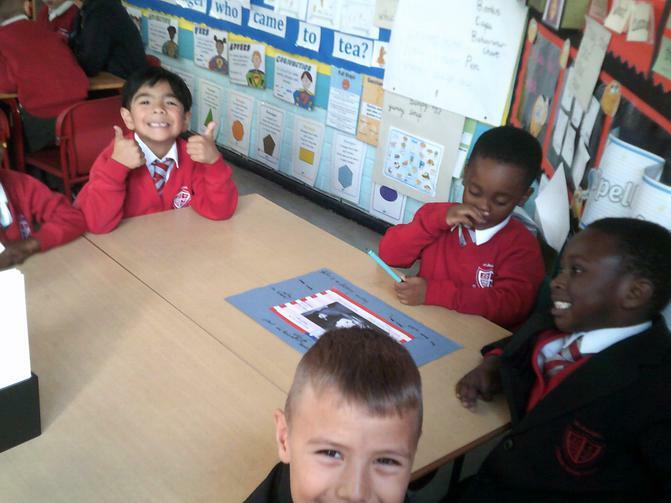 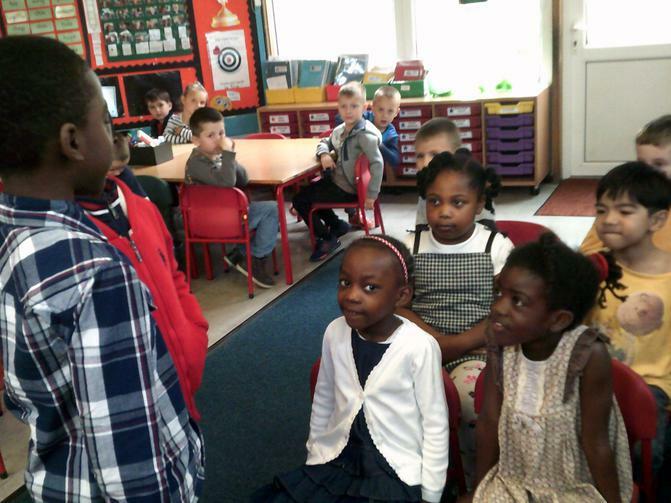 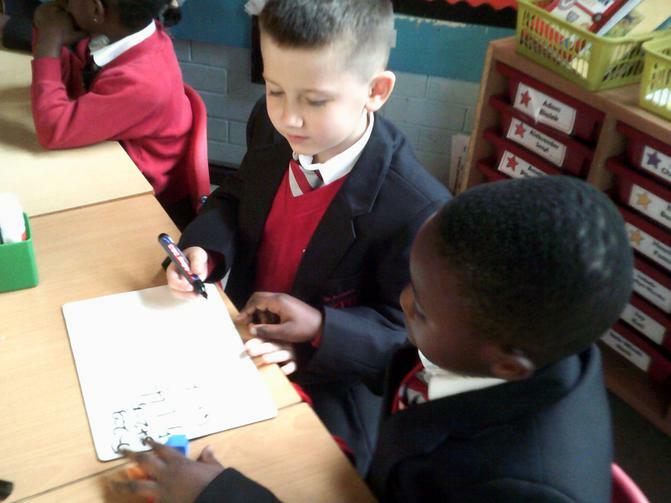 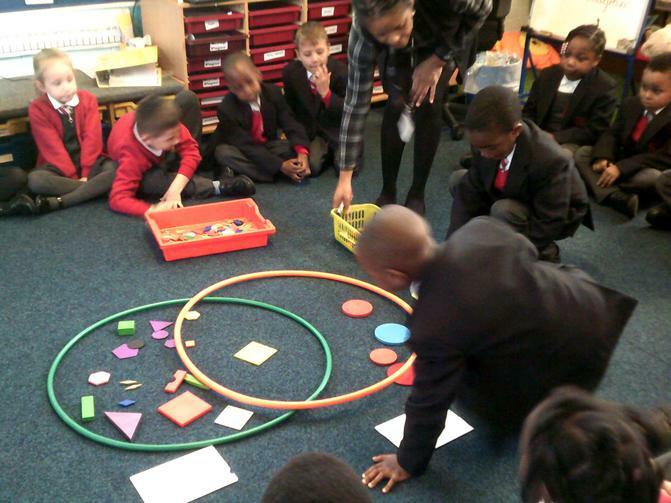 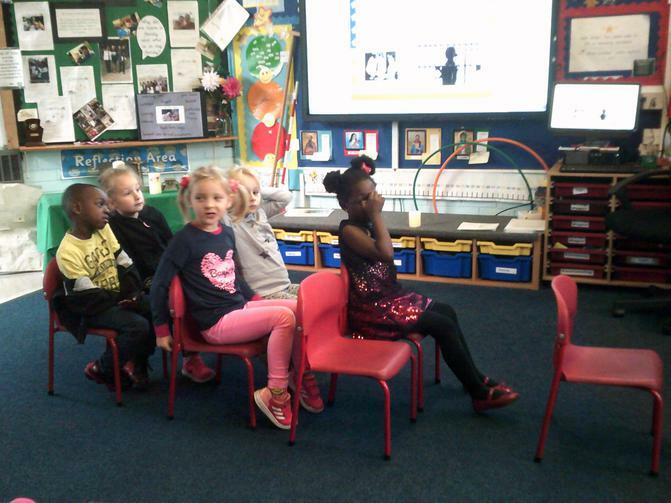 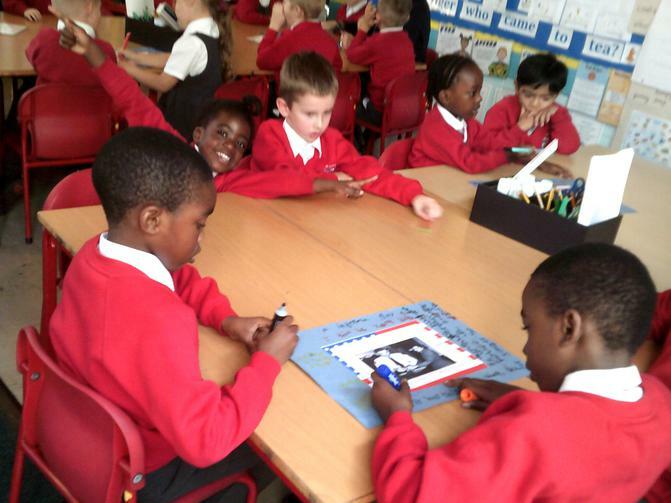 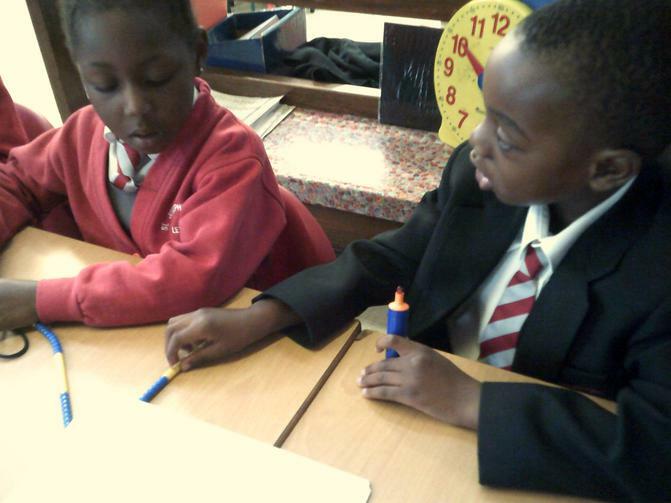 Seals class looked at the life of Rosa Parks. 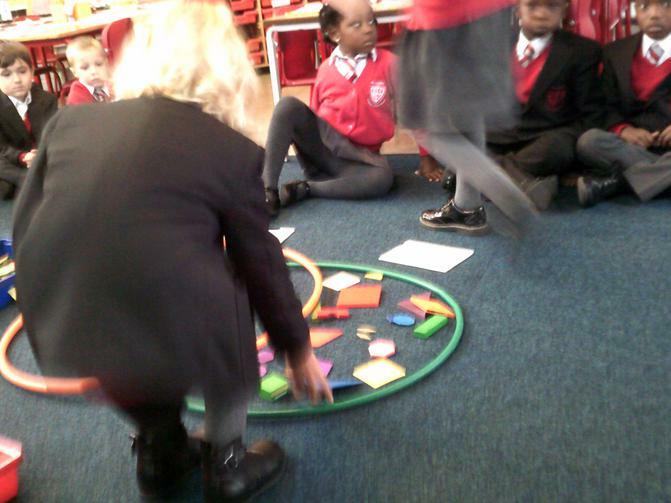 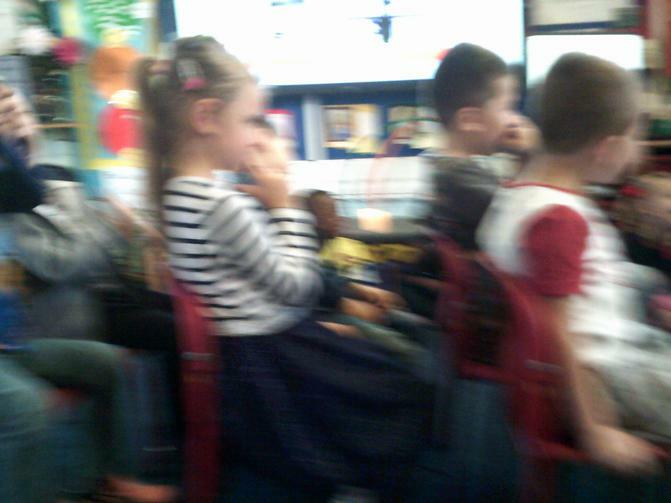 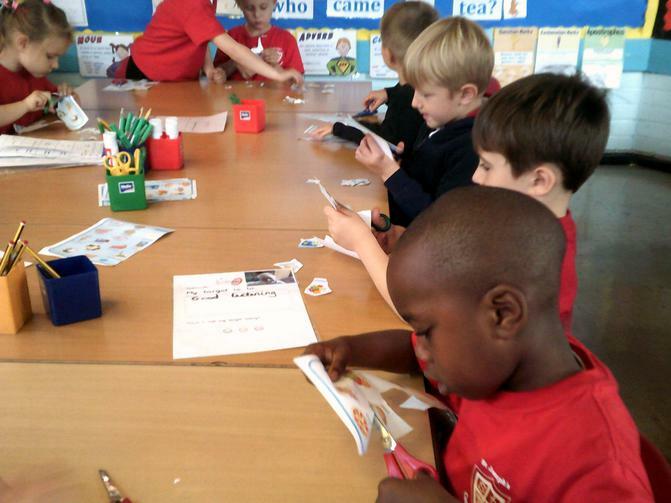 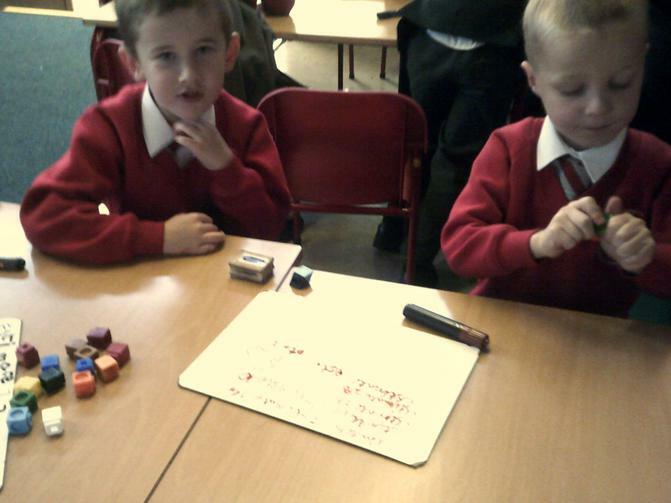 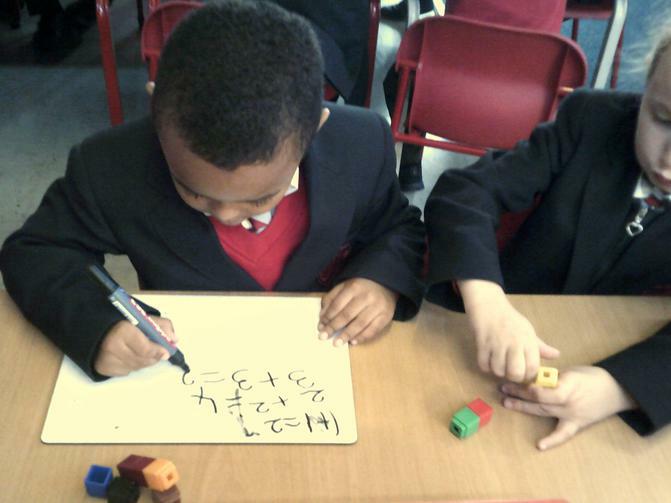 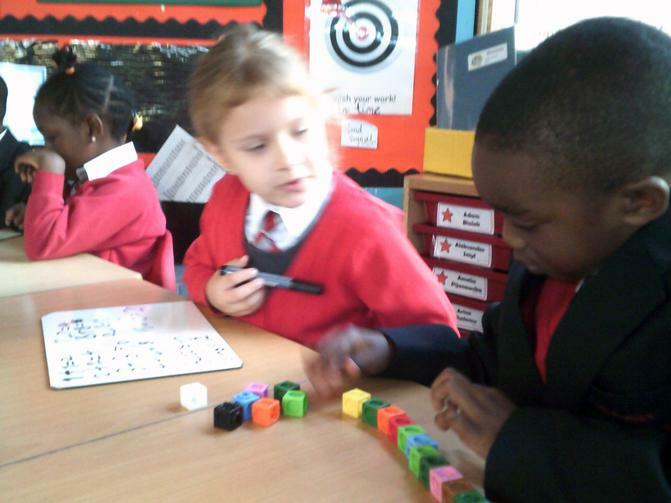 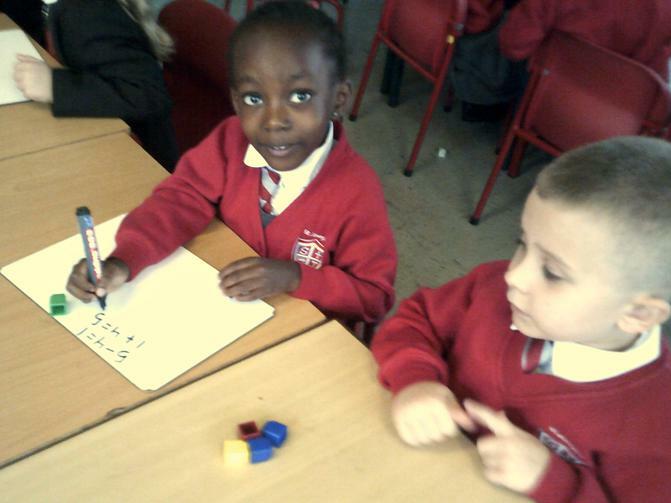 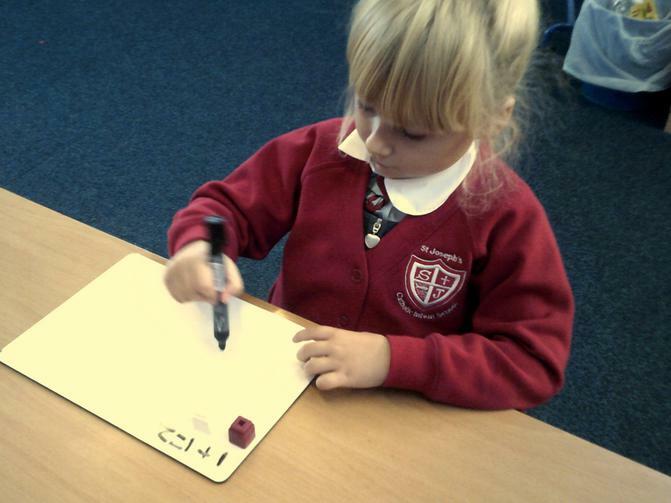 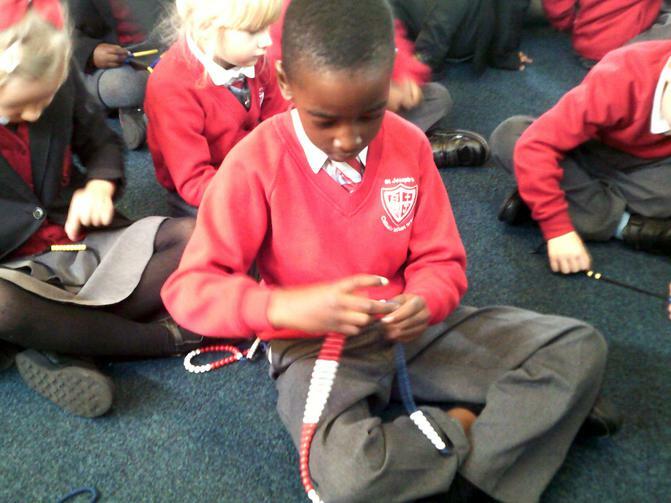 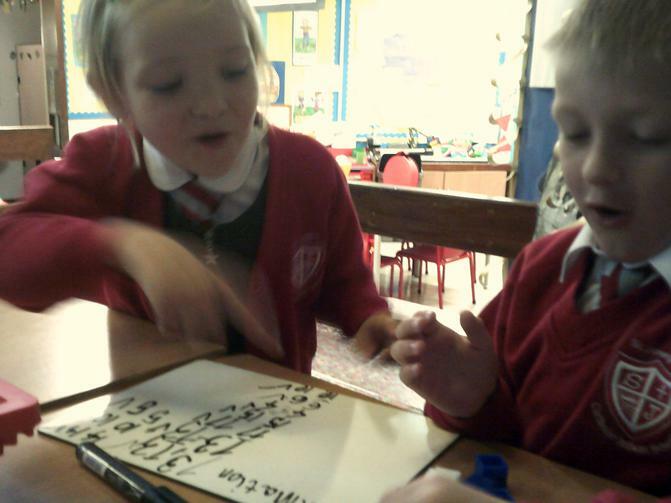 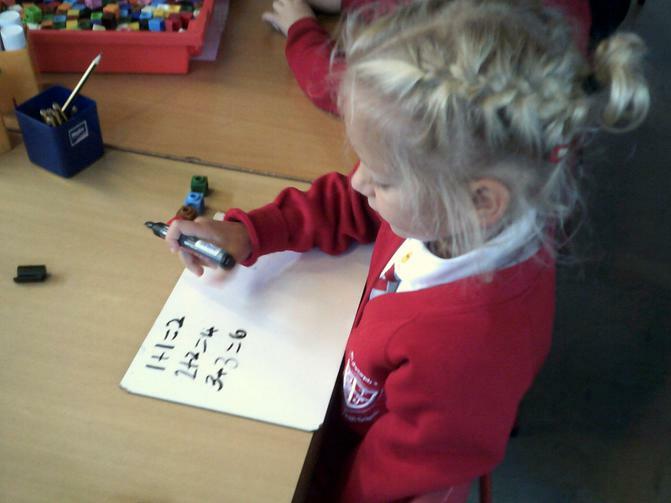 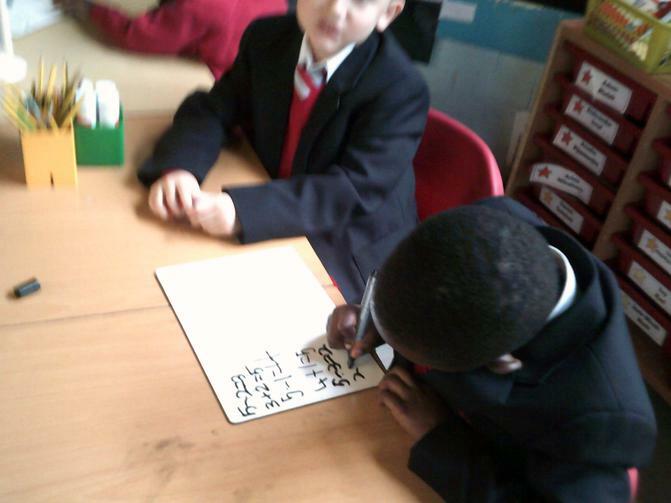 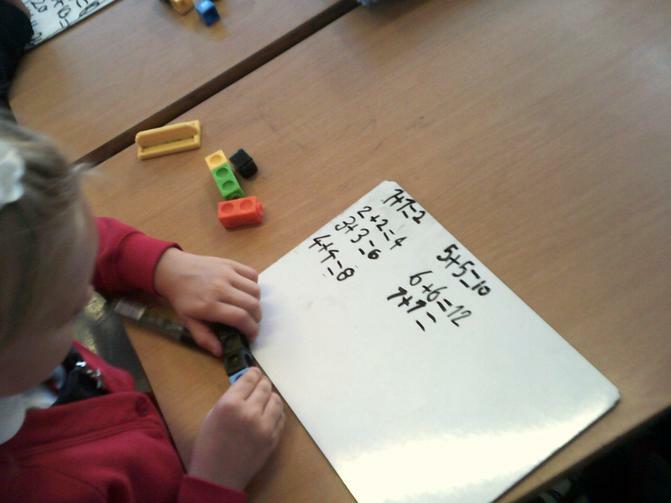 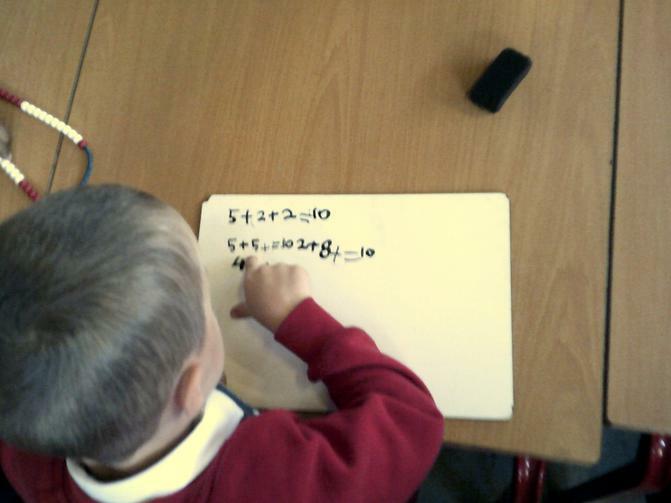 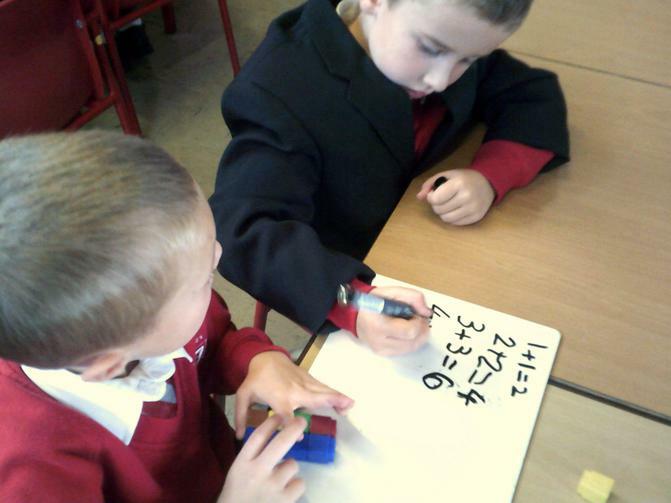 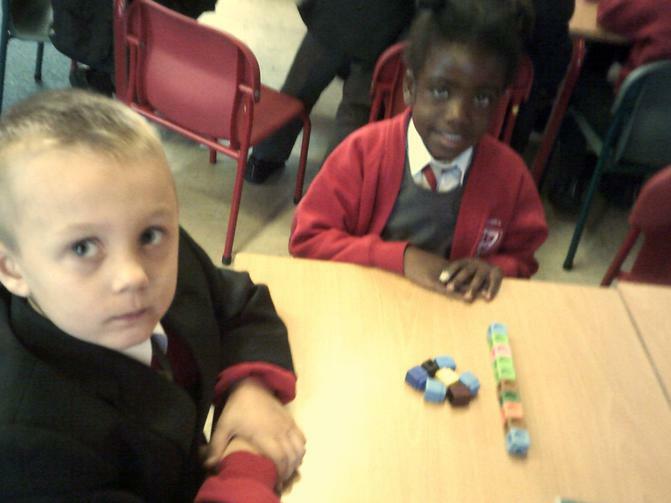 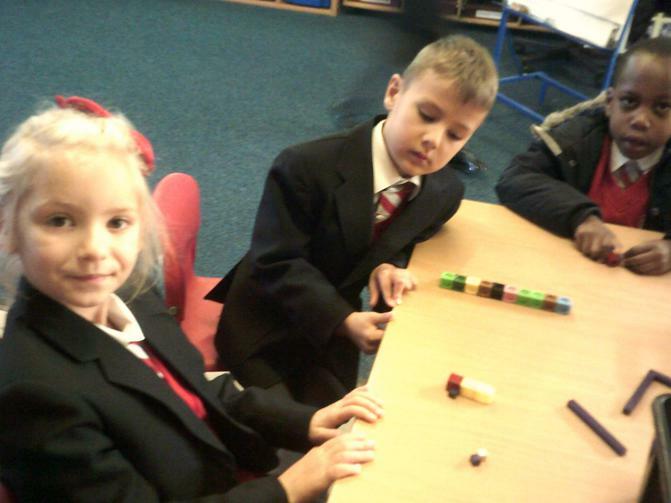 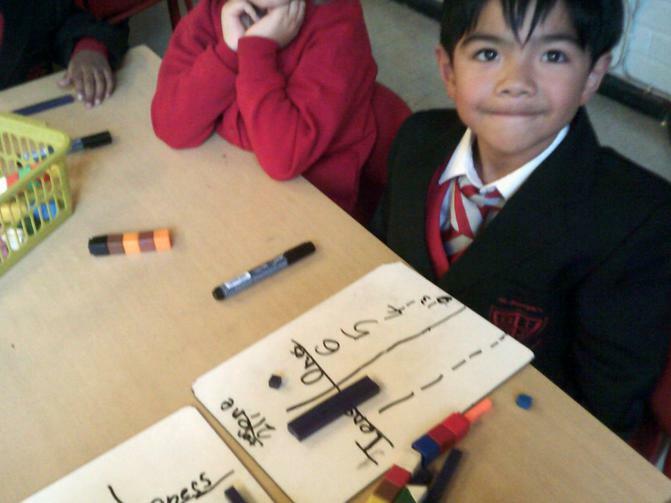 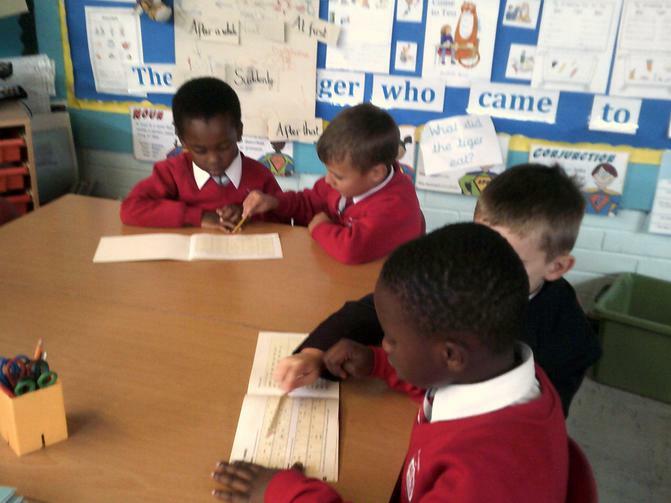 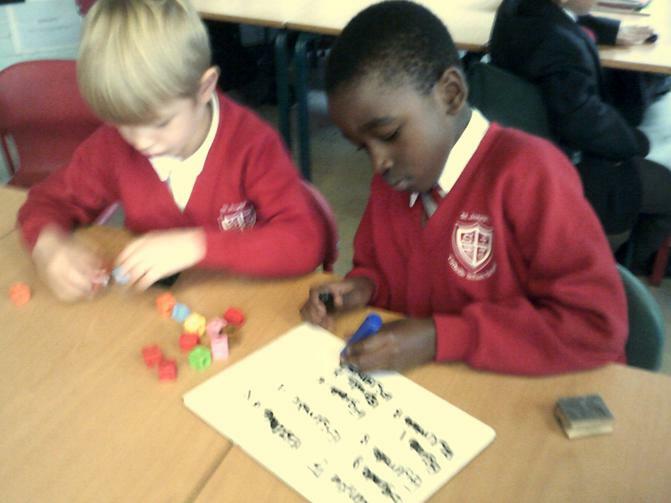 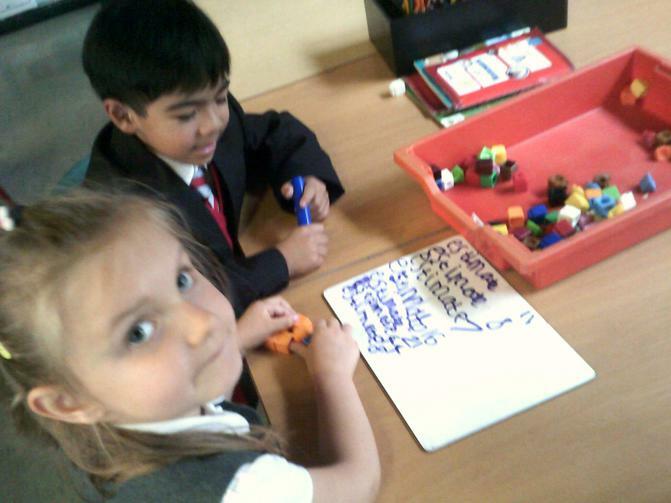 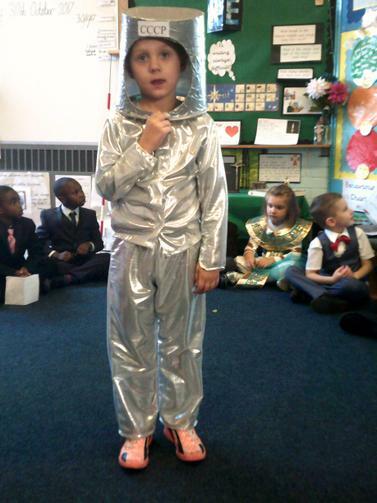 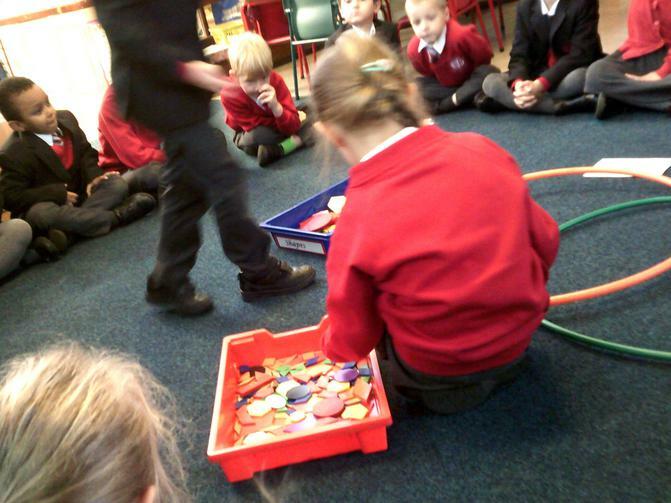 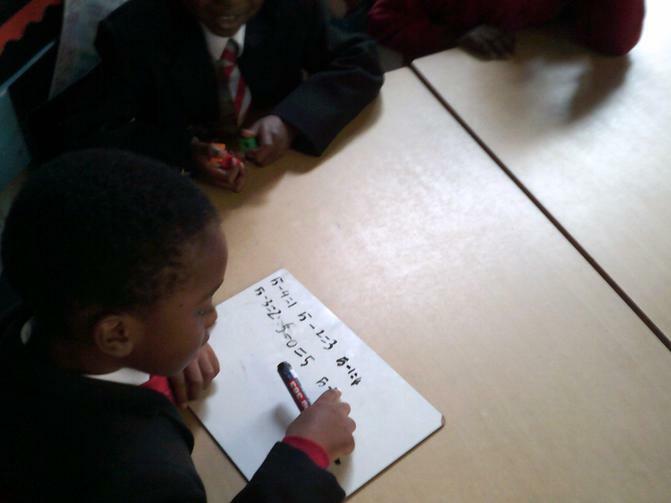 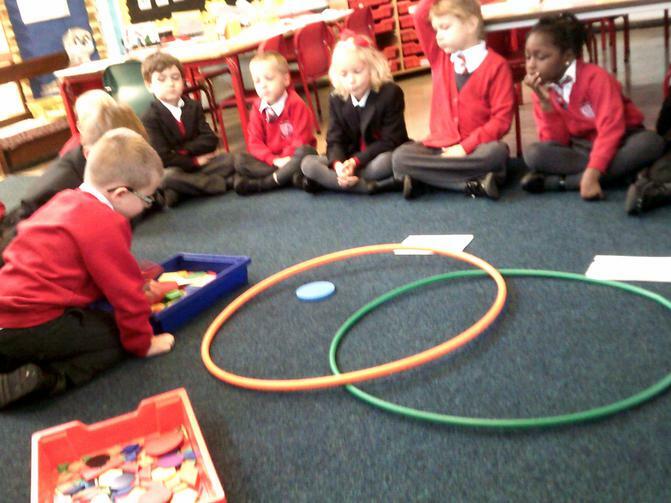 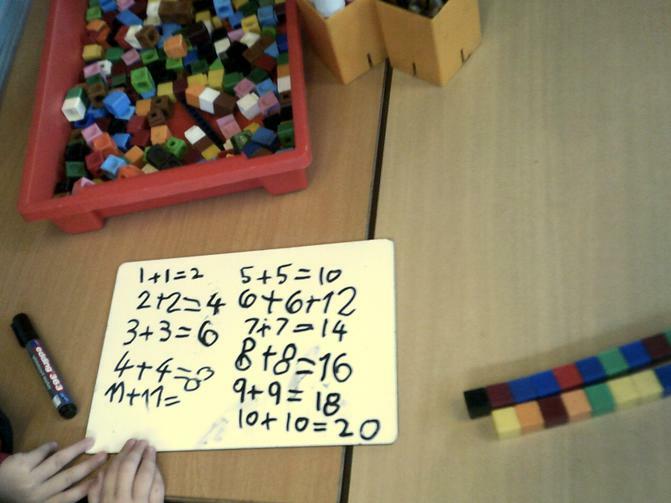 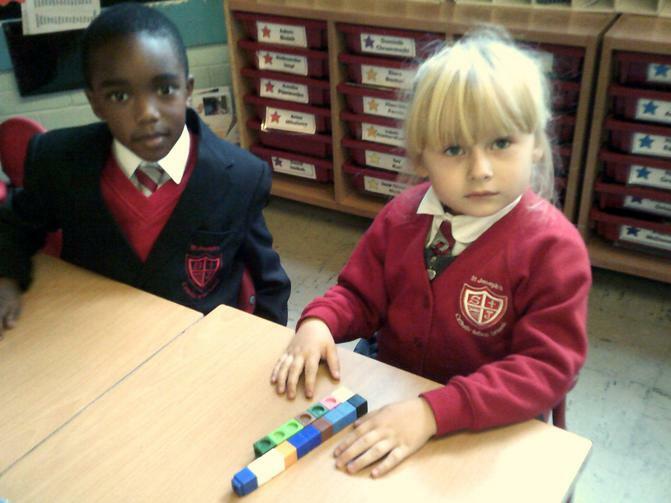 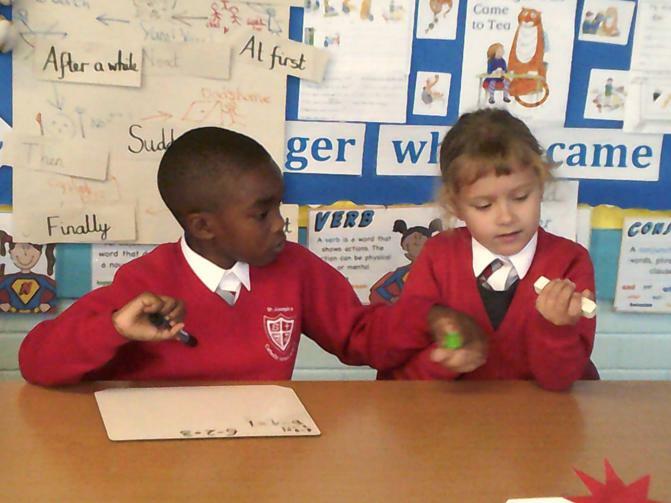 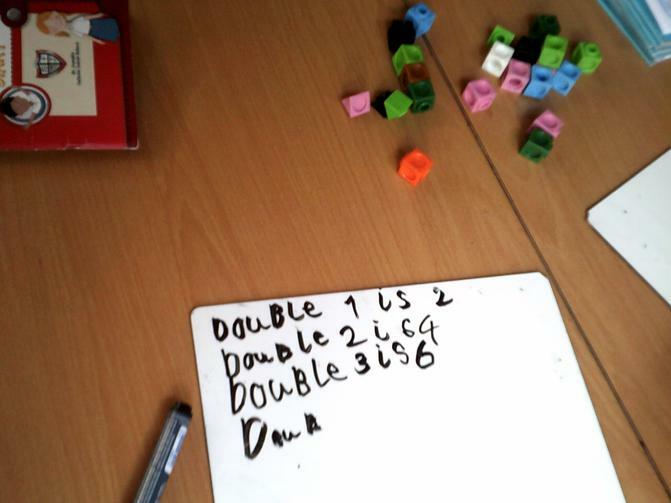 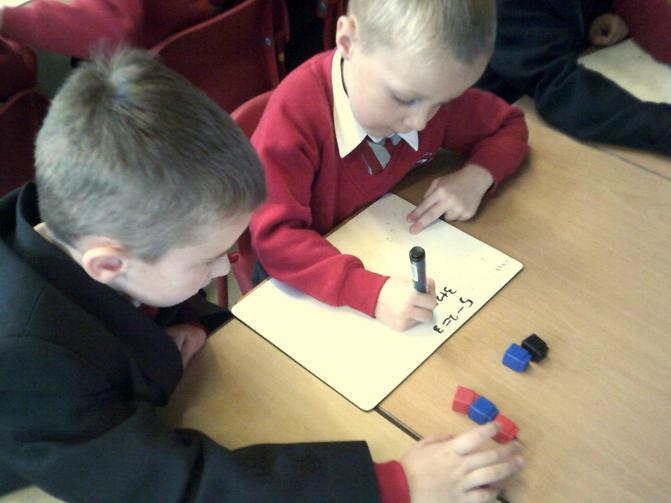 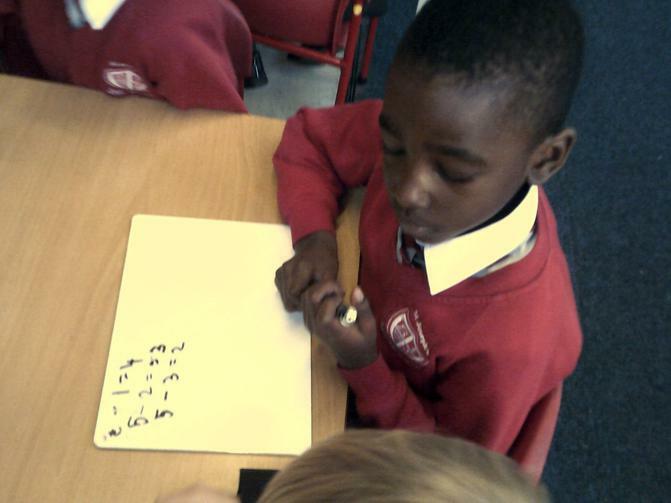 In Seals the children are becoming familiar with the extra responsibilities that come with being in Year One. 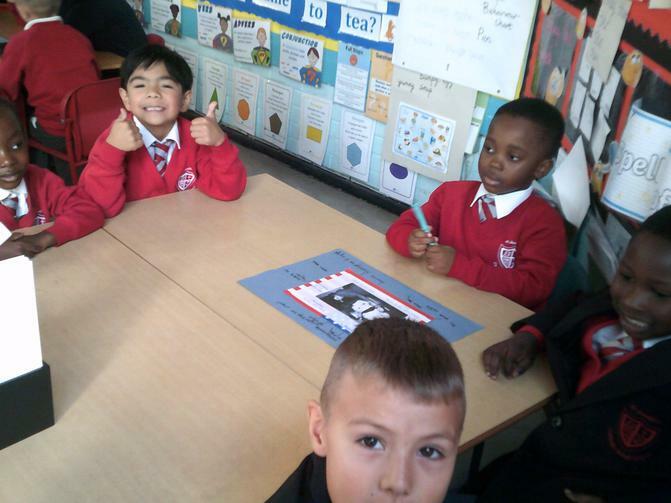 They are settling in well.